Today was a "rest" day. Bill ran while I wrote post cards. We both had a lovely long swim in the hotel pool. 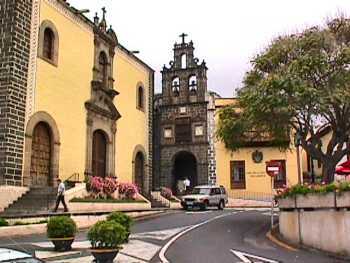 Since we didn't take any photos, I'll show you more of the beautiful old houses in Orotava that we saw yesterday. 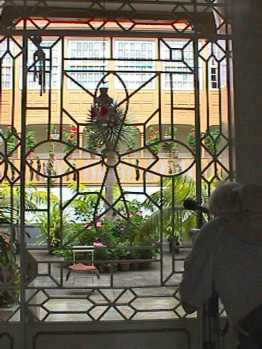 St. Agustin convent was built in 1694.. The tower is built of black lava. 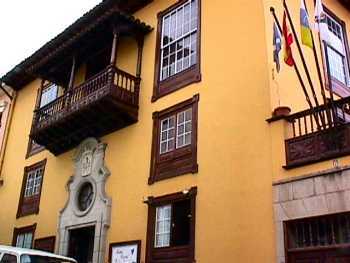 It is now a culture centre with music school and rooms for exhibitions and concerts. 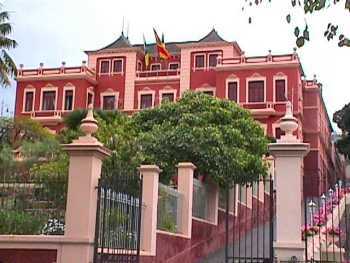 A "new" house in Orotava, the Liceo de Taoro was built in 1928 by Don Tomás de Ascianio y Méndes de Lugo. Later it was a secondary school and is now an exclusive casino. 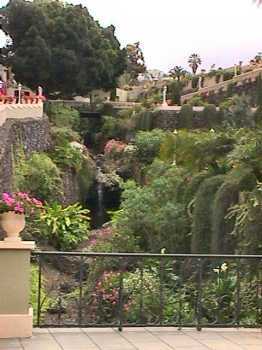 The gardens beside the Liceo de Taoro, built in a barranco, a dry riverbed. Another lovely old balcony house. 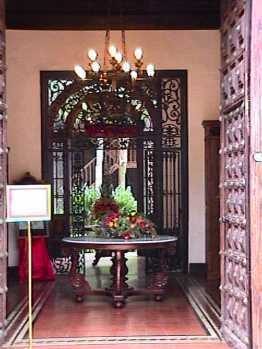 Inside the house, a beautiful wrought-iron grill separates the central courtyard from the entrance. 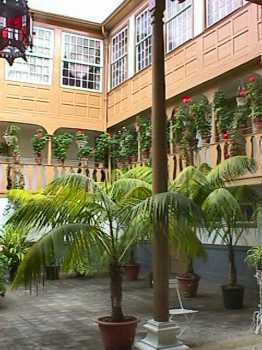 The atrium in the yellow house. 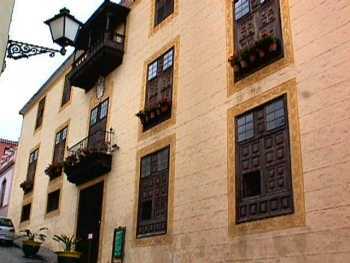 The first and second floor have balconies. Another old house has been converted into the exclusive Hotel Victoria. It was the name that caught my attention but the interior was well worth a look. 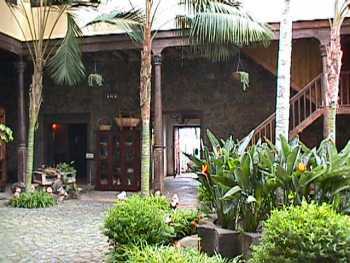 The entrance boasts a beautifully carved wood door, tiled floors and wrought iron gates to the courtyard. 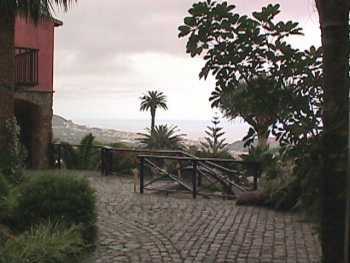 The inner couryard has one side open to a fantastic view over Orotava and Puerto de la Cruz to the ocean. Unfortunately it was raining when we were there, hence the dark clouds. 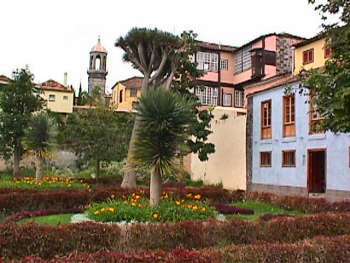 Colourful houses in Orotava. The tallest tree is a Dragon tree which isn't really a tree at all. The tower belongs to San Domenico convent, built in the 17th century. The church is now an art gallery and the convent is a museum of Spanish-American art.